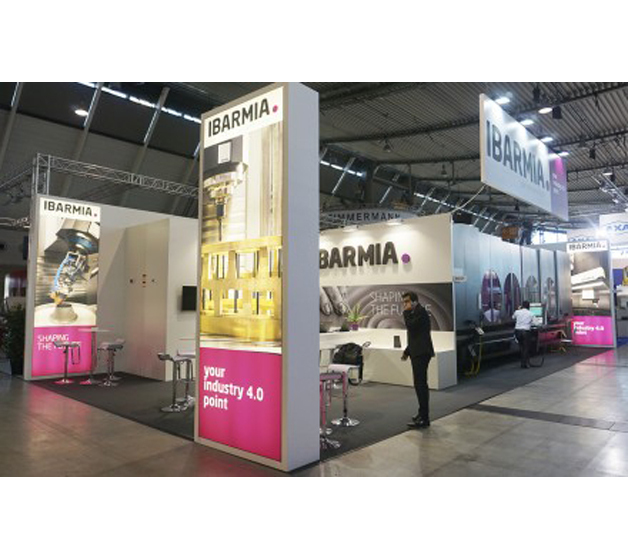 IBARMIA took part as a direct exhibitor via the subsidiary IBARMIA Werkzeugmaschinen GmbH. In the last editions IBARMIA had been present at this important event together with NAGEL, distributor in the areas of Baden Württember and part of Bayern. On this occasion, apart from the machinery exhibited by NAGEL, the Basque manufacturer had their own stand to receive visits from German and foreign companies. The exhibited machine ZVH 58/L6000 was proof of the high level of technology and personalisation of the IBARMIA machines. The multitasking solutions of the MULTIPROCESS range, machines combining 5 axis milling and turning, with horizontal and/or vertical turning spindles and the most recent T SERIES raised the interest of many visitors as well as the new applications in the field of additive manufacturing (AM), technology that IBARMIA keeps developing as a pioneer in the production of hybrid machines for 3D manufacturing and machining. The general public and German customers valued very positively the proximity of the IBARMIA office in Eislingen/Fils, BW as well as the established sales and service network. IBARMIA aims to become a main reference in the market of moving column machining centres of high technology in Germany.